The Anti-Austerity Alliance has responded to comments made by various government ministers and TDs about RTE’s coverage of the water charges campaigns accusing them of trying to pressurise RTE into ‘gagging the anti-water charges campaign as bills drop’. Ruth Coppinger TD said “Since Pat Rabbitte came into the Dail last week, having tipped off journalists that he was going to attack RTE, we have heard an ever growing chorus of ministers and TDs line up to attack the coverage which has been given to anti-water charge campaigners. Yesterday, we had the Tánaiste join in claiming RTE had become ‘over excited’. It is particularly galling to hear her praise the ‘free media’ in this country when Denis O Brien owns so much of it and has a vested interest in Irish Water and the water charges and her party are now attempting to apply pressure on the state broadcaster. “The majority of people in the country are opposed to water charges. 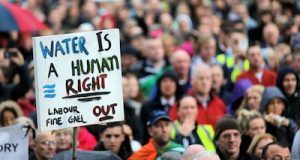 We have seen the historic movement of people against the water charges do these people not deserve to have their voices heard or the voices of public representatives who argue their case heard on the national broadcaster? 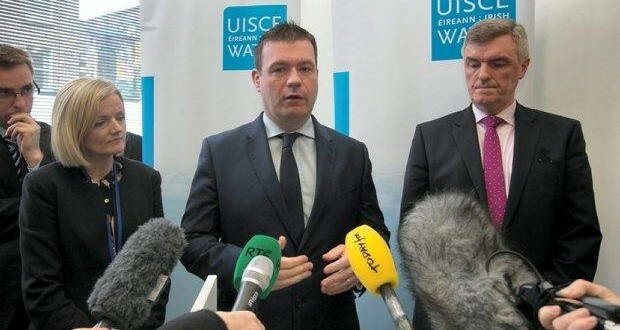 “The fact of the matter is that this is an orchestrated campaign to exert pressure on RTE in an attempt to gag anti-water charges campaigners as we enter this critical period of weeks when bills are dropping. Paul Murphy TD said “The government and the Labour Party in particular, are raising these issues because they want to stop us from getting the message out that mass non-payment can defeat the water charges and the government, and exposing their pre-election lies. 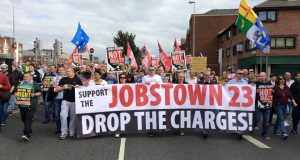 “The idea of an imbalance is contradicted by the evidence, The Independent found yesterday that of 35 guests on RTE 19 were opposed to water charges and 16 were from the government. A newspaper article yesterday highlights an episode of Prime Time from February 10th that had 3 pro-water charge Labour TDs against one from the anti-side. “In fact, Alan Kelly and Elizabeth Arnett have been given platforms at RTE to use as infomercials for water charges. Alan Kelly last week was allowed to make veiled threats, unchallenged by anyone from the anti-water charges side, against non-payers on Claire Byrne’s show. “The government are led by a Taoiseach who seems to be afraid of media interviews or is kept away from them, has there been occasions when RTE invited spokespeople from the government on only for them to refuse?